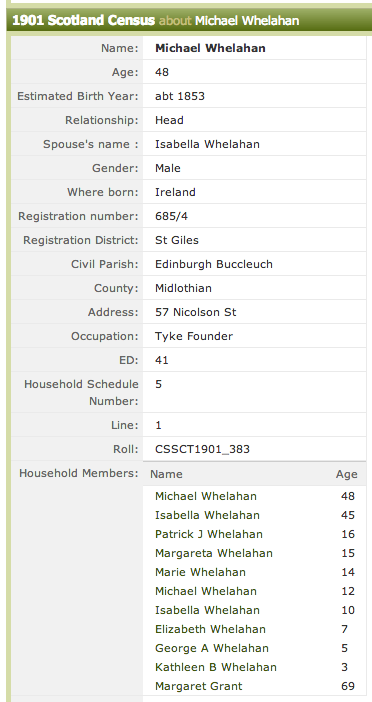 Great Grand Uncle of the Stanton clan was Michael Whelahan, brother of Maria Whelahan. 1881 - Patrick was described as a Garner's labourer. 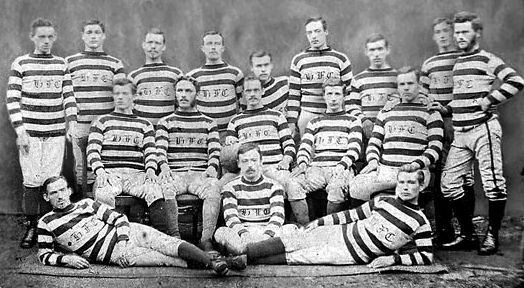 Michael’s father Patrick had for a while worked in Lanarkshire in the Iron Mills. 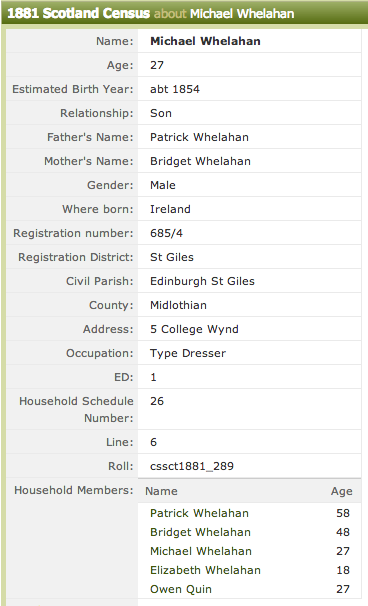 He returned home to Ireland and then returned to Edinburgh with his wife Bridget McDonald and family. 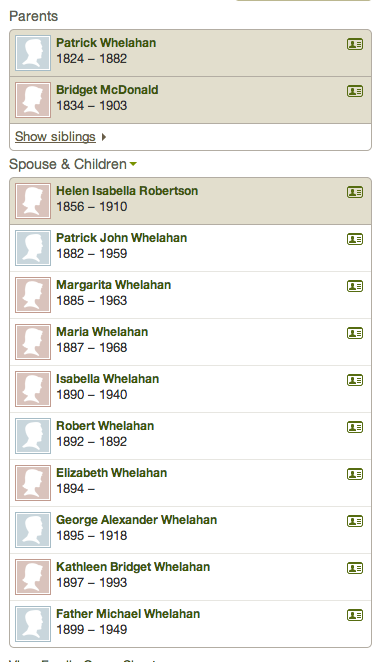 The couple had been married on 6th October 1845 in County Rosscommon in Ireland.